Gmail doesn’t see a lot of major updates. In a way, it’s been comfortably unchanging over the years, while rivals like Outlook feel like they’ve been chopping and changing to the whims of an easily distracted designer. 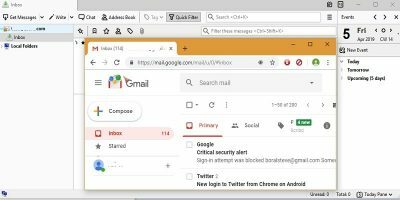 But now Google’s domineering email service has received quite possibly its biggest update yet, with a bold and bright new look and a panoply of new features to make our emailing lives easier. We’ll introduce you to the new look and features. 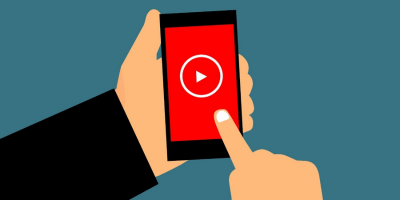 Google is being cautious in its big update rollout, making sure it’s stable before making it the default option for everyone. So for now you need to enable the updated version manually. 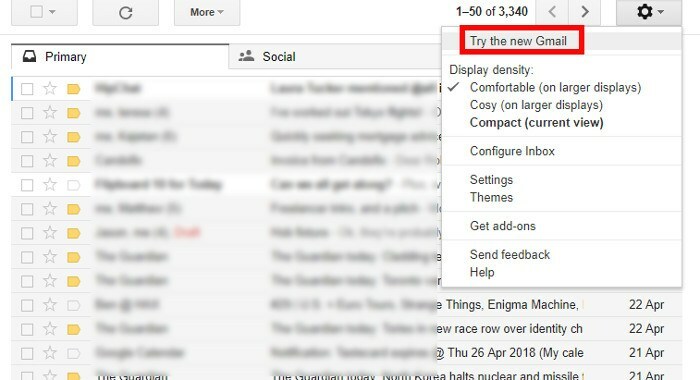 To do this click the Settings cog at the top-right corner of your Gmail inbox, then “Try the new Gmail.” That’s it! You can now start diving into the new stuff. So what is this new stuff of which we speak? 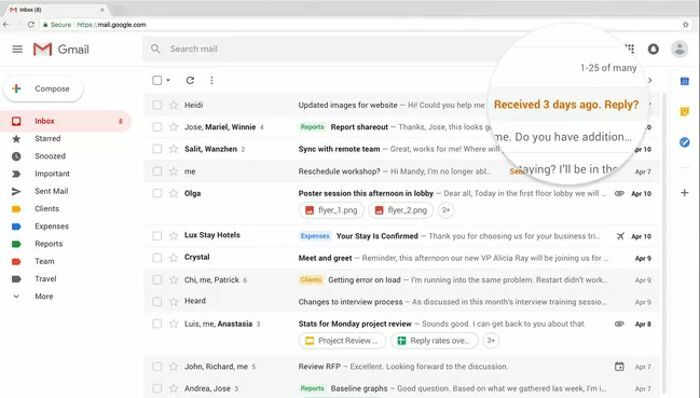 A new-look inbox can be a bit baffling at first, but Google has done a good job in keeping everything in pretty much the same places it was before. It’s a bit more colorful now, a bit more in line with Google’s whole “Material Design” malarkey, but it’s the little things that make it more robust than before. Hover over an email, for example, and there is now a “Snooze” button, so you can temporarily remove emails from your inbox, then have them reappear at the top of your inbox for the time you set. 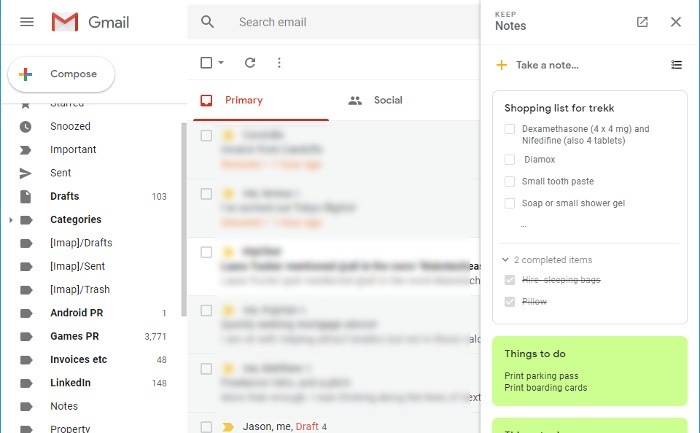 On the right side you’ll also notice a new bar that integrates services like Calendar, Google Keep and Tasks, and gives you the option to quickly add third-party add-ons to your Gmail. Clicking the icons in this bar rolls the selected app out into a thin pane, letting you use Calendar, Keep, whatever, while still working with your Gmail inbox. You’ll also see that you can access attachments directly from the inbox screen without having to unravel long conversation threads. However, I noticed that when my browser window is snapped to one side of the screen (on a 1920 x 1080 display), this option doesn’t appear, so for now your window needs to be of a certain size for this to work. I’ve been holding off the “Smart Reply” revolution on smartphones, but it seems that it’s popular enough to have made it over to the desktop version. For the uninitiated, Smart Replies are ready-made quick responses related to an email you received. It’s a neat time-saver, even though there’s something dystopian and “death-of-language” about the whole thing. 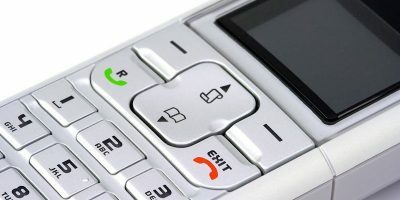 On this front the new “confidential mode” is the star feature. 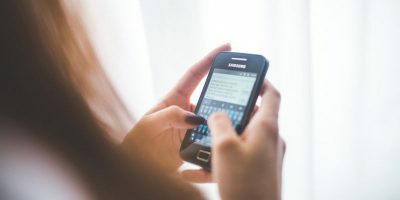 It allows you to send individual messages with two-factor authentication, so your recipient requires an SMS confirmation to open them. You can also set expiry dates on these emails so that the recipient receives a time-limited link to the email in question. 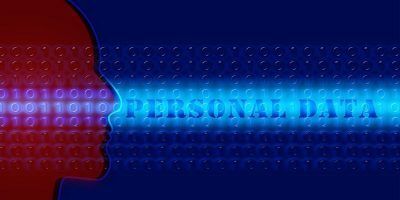 For even more security, you can control a recipient’s rights to forward, download, copy and even print your email, blocking them if you’re sending them secrets you’d rather not have shared. More tangibly, when you chuck emails into the Spam folder, Gmail will now ask whether you want it to try and unsubscribe you from the sender’s mailing list, which is thoughtful. Also, if Gmail detects that you’re never opening emails from certain regular senders, it will now ask if you want to block that sender. There’s plenty more little stuff going on in this new update, such as nudges to respond to or to follow up on unanswered emails, but for us those are the highlights. 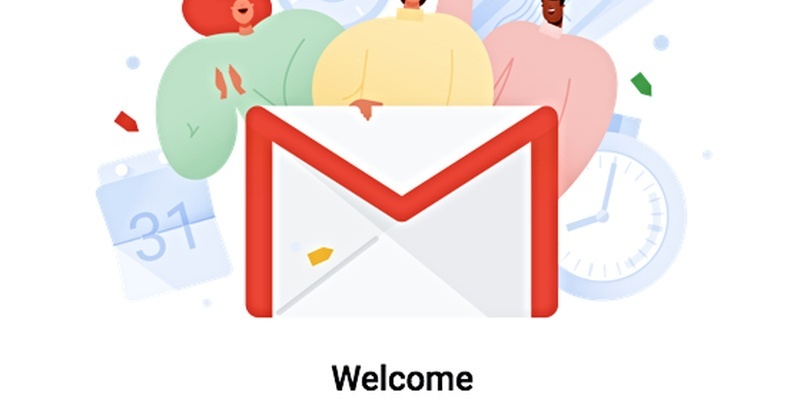 A lot of the updates are Google playing catch-up with more modernized email clients, but there’s some genuinely good stuff here. Crucially, it’s contained within a UI that won’t make you feel like you’re starting afresh. Good effort, Google. Just checked my emails for suggested Smart Replies. Very few of the suggestions have anything to do with the text. The suggestions are also too simplistic. ROTFLMAO! How can you have a “Confidential Mode” with Google reading and recording every email?! All I want out of Google spam management is an option where if an email matches the filter, it can be sent directly to SPAM, not just deleted. I don’t see its purpose. I want to dispose of emails ASAP, not postpone the decision to a later time. There is no obvious way to turn it off. All in all, this “Huge Gmail Update” is nothing to write home about IMO. More and more complicated does not make it simpler. Google’s updates leave a lot to desire. Their new finance page made is virtually useless, the new email look seems hooky and stupid. Google seriously is going the Microsoft way – dumb stupid and useless.